Learn more about Peony Garden Tokyo and its Chief Caretaker, Master Seki. 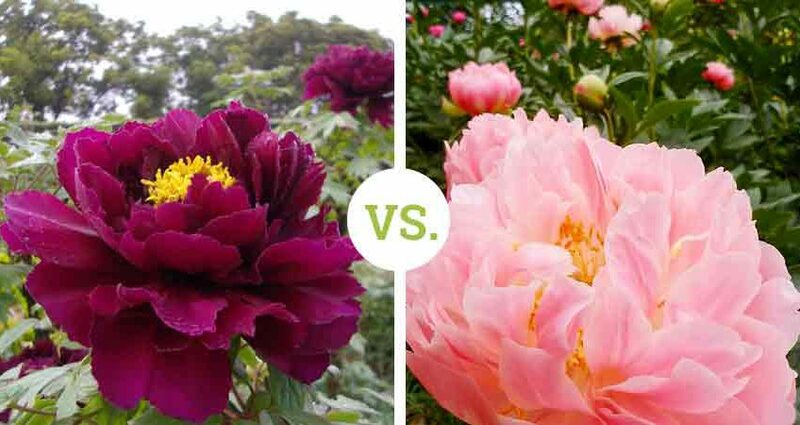 You probably know that there are many varieties of peony, but can you spot the difference between botan and shakuyaku peonies? 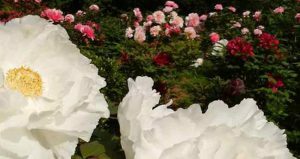 Learn how to tell the difference in the varieties of peony and how these species came to Japan. You can identify the botan varieties of peony easily. These peonies grow from a tree. The tree has a trunk and multiple branches that produce blossoms. Additionally, its stem is thick and its leaves have slits. If you look closely, you will notice that its buds are pointy. And like other trees, it has multiple branches. The Japanese attribute emotional qualities to the botan, such as dignity, elegance, and shyness. However, the botan is “the king of flowers” or “the god of flowers” in China, where the botan originally came from. These peonies are characterized as flamboyant and elegant. Alternatively, the shakuyaku is classified separately because it is a grass. In contrast, its stem is thin and its leaves have no slits. Also, the buds of the shakuyaku appear round when compared to the botan. Each shakuyaku only has one stem and no branches. Japanese emotional qualities attributed to the shakuyaku are shyness, bashfulness, timidity, and purity. The origin of the word shakuyaku comes from the Japanese pronunciation of the original name in Chinese,芍薬 However, there are different opinions of which kanji is used for shakuyaku in old Chinese. During the flowering season, Peony Garden Tokyo has about 250 varieties of tree and stem peonies blooming. 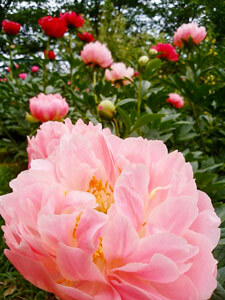 Master Seki has also grown three original peonies that do not yet have a name. You can enter to win the naming rights of one of these new flowers by buying your ticket in advance and entering the contest. If you’d like to enter our contest, or if you’d just like to visit the Peony Garden Tokyo, you can buy tickets in advance and receive 20% off the price at the gate. Thanks, Trudy. If you have any specific questions, please let us know. We’re always looking for ideas for new posts.